Three-time bantamweight tournament participant Ed West is returning to Bellator as he has signed a new long term promotional contract with the organization. Bellator officials confirmed the signing to TheMMAReport.com on Thursday after West tweeted that he was returning to the organization. West (18-8) was initially signed by Bellator in 2010 and was immediately placed into the inaugural bantamweight tournament. He would advance to the finals with decision victories over Bryan Goldsby and Jose Vega. He would face Zack Makovsky in the final for the inaugural Bellator title, but would lose a five round decision. 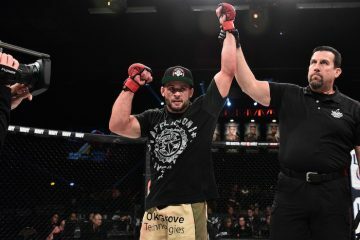 Following the defeat to Makovsky, he would get back into the tournament in season five and was eliminated in the semifinal round by current Bellator champion Eduardo Dantas. He would come back six months later and would be unable to get out of the opening round of the season six tournament as he was defeated by eventual tournament winner Marcos Galvao. After his exit from the season six tournament, he would return ten months later and defeated Josh Montoya by knockout in the second round at Bellator 91. Shortly after the victory, West asked for his release from his Bellator contract, which was granted by the promotion. It would nearly be a year from his last fight in Bellator until his next fight as he headlined a fight card in Mexico against Antonio Duarte. He would be submitted in the second round and it was his first career defeat submission. His return to Bellator will come in the upcoming eleventh season of Bellator, which will begin on September 5th at the Mohegan Sun Arena in Uncasville, Connecticut. 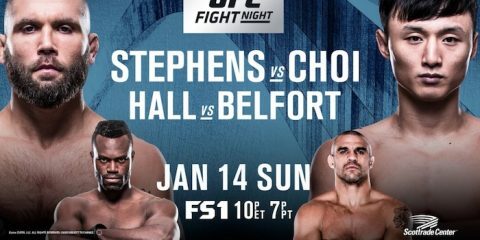 An exact date and opponent for West is not known at this time and this is expected to be announced by Bellator in the coming months.